Your next adventure awaits you. When simple everyday activities become an adventure – Imagine your first trip to the supermarket, up and down the aisles, lined with Japanese products you’ve never seen before. Then you come to the seafood section – Yep! This is just the ticket, and #foodfriday just took on a whole new meaning! Japan ranks third in terms of GDP and has a thriving economy. Always feel safe as Japan is one of the safest countries in the world. Immerse yourself in tradition and the vibrant pop culture. Japan enjoys all four seasons with plenty to do and see for each. Japan is an island nation in the northeast of Asia, covering an area of approximately 378,000 sq. km. 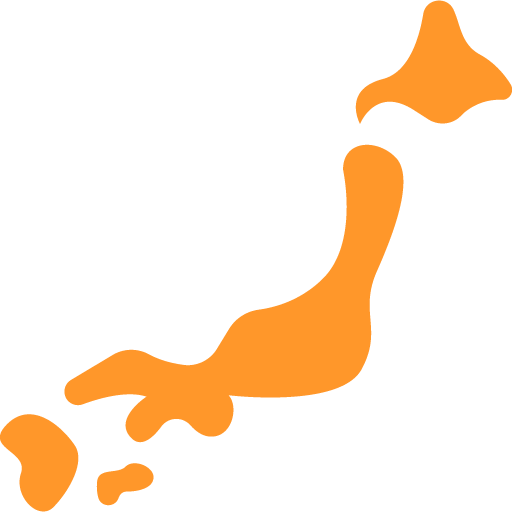 It has four major islands, Honshu, Shikoku, Kyushu, and Hokkaido, in addition to scattered island chains. Owing to its long north-south extent of 3,000 km, there are significant regional differences in climate and distinctive seasonal transitions. Japan is blessed with many sightseeing areas that offer a blend of beautiful natural scenery and vast urban landscapes. Many of the traditions that make up Japan’s unique cultural heritage, such as performing arts and architecture, are also well worth seeing. 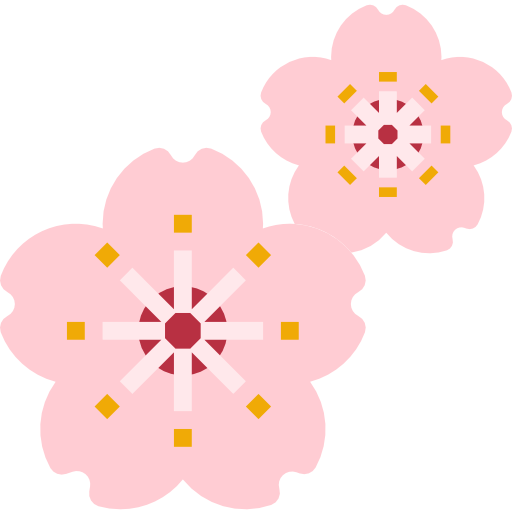 Additionally, festivals held around the country and regional characteristics formed by the differences in climate are fascinating and will help you better understand Japan. You will have time to explore Japan during your holidays, with the advanced transportation systems enabling you to travel with ease across the entire country. Hokkaido is the “great northern wilderness” of Japan. Only 5% of the country’s population live there, most of them in and around Sapporo, but the island itself is 20% of Japan’s landmass. 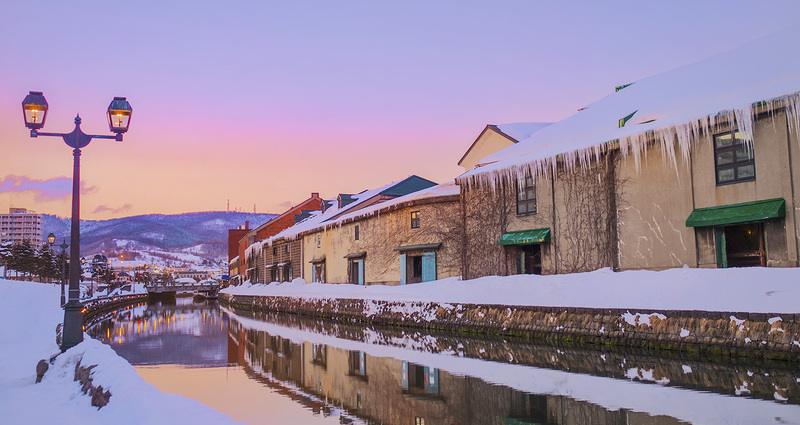 With four distinct seasons, Hokkaido is an unmistakably a great place for nearly any outdoor activity imaginable. Mountain biking, camping, and bouldering in summer or ice-fishing, soaking in an outdoor onsen, or hitting the pristine powder-covered slopes of the many world-class ski resorts. Discover the history of the indigenous Ainu, or enjoy all the modern amenities of Japan’s 5th largest city in Sapporo. The northern six prefectures on Japan’s main island of Honshu comprise the Tohoku region. Known for its rugged mountains and less traveled spaces, and situated across an active volcanic zone the area is most famous for its seemingly endless natural hot springs or onsen as they are called in Japanese. Offering the perfect escape from the bright lights and big city, once you’ve tried one or two, you’re a fan for life. 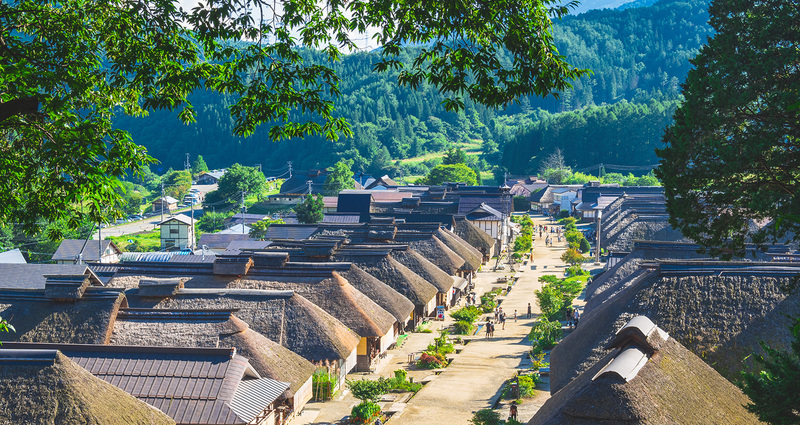 If you’re a fan of Japanese history visit Aizu-Wakamatsu the capital of the ancient Aizu Clan. Or for try Hiraizumi, a UNESCO World Heritage Site known for its array of Buddhist temples, once thought to rival those in Kyoto. Known mostly for the mega-metropolis of Tokyo, Yokohama and the surrounding environs, the Kanto region is made up mostly of the Kanto plain and is the largest flat-land area in Japan. Historically it was home to the Tokugawa Shogunate. Notable sites in the area include Tokyo Sky Tree, simultaneously the tallest free-standing radio transmission tower and the second tallest structure in the world. 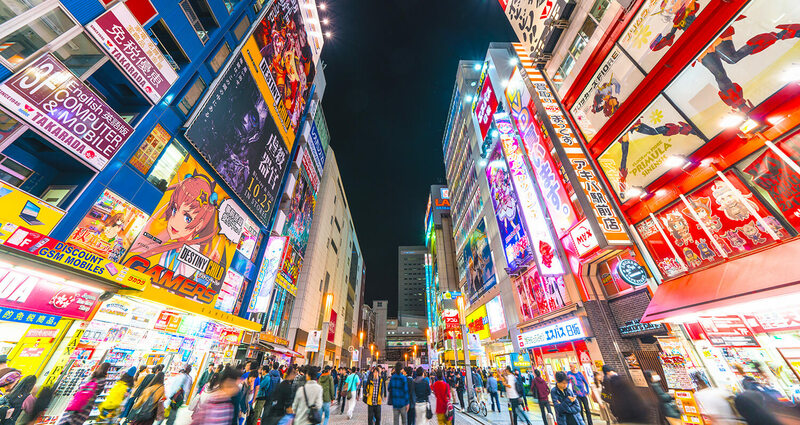 On the cultural side you can visit Senso-ji, Japan’s most famous Shinto shrine, or venture to the serenity of Meiji-jingu in Harajuku, where you’ll likely forget you’re in the center of the world’s most populous city. Literally the “middle area” in both name and location, the Chubu region is both the geographic and cultural border between eastern and western Honshu. The iconic Mt. Fuji is located within the region as are the majestic Japan Alps, known for their world-class skiing (1998 Nagano Olympics) and amazing hot springs like the famous Gero Onsen. 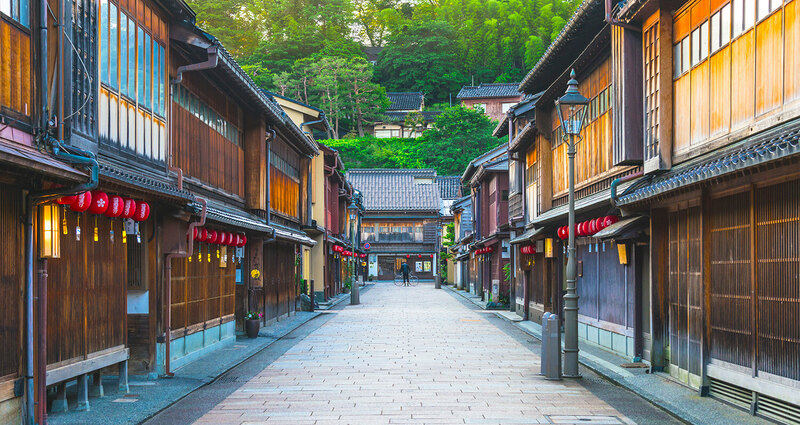 Find Japan’s oldest standing wooden castle in Matsumoto, or walk the historic streets of Kanazawa. Relax on the beaches or dive off the pacific coast on the east side, or take in majestic cliff-top views and spectacular sunsets while enjoying the freshest seafood on the western Japan Sea coast. The official name of the region is Kinki. 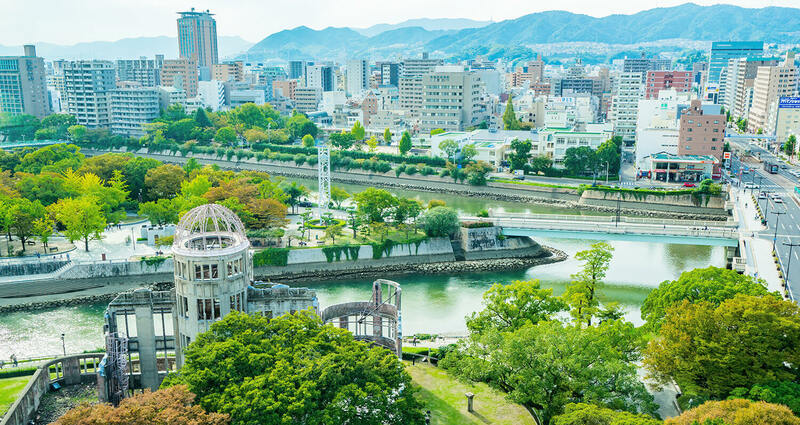 Most known for the unmistakably famous trinity of cities, Kyoto, Osaka and Nara, the region is rich in Japanese history with Nara and Kyoto having been ancient capitals at one time. Kyoto was the capital for nearly 1100 years until 1868, and is still considered to be the cultural capital of Japan. 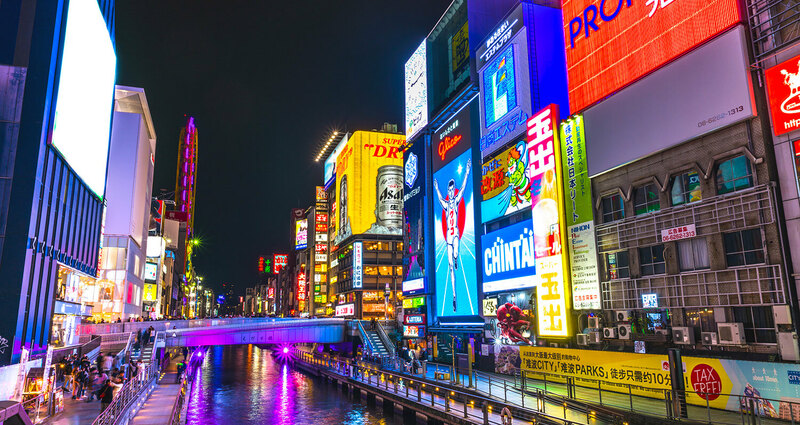 Osaka has always been thought of as a commercial hub and the epicurean “belly of Japan” with its amazing food district. There’s no shortage of historical sights in the region with 17 UNESCO World Heritage sites. The Chugoku region is located at the far western end of Honshu and perhaps most famous for the city of Hiroshima. The very urbanized Sanyo region is along the Seto Inland Sea, while the more serene environs of the Sanin region are on the Japan Sea coast. Of course one of the most iconic locations in the world, the Itsukushima Shrine (or Miyajima) is located off the southern coast of Hiroshima prefecture. In Shimane, you can find what it thought to be the oldest shrine in Japan, Izumo Taisha which has been at its present location for 1500 years. 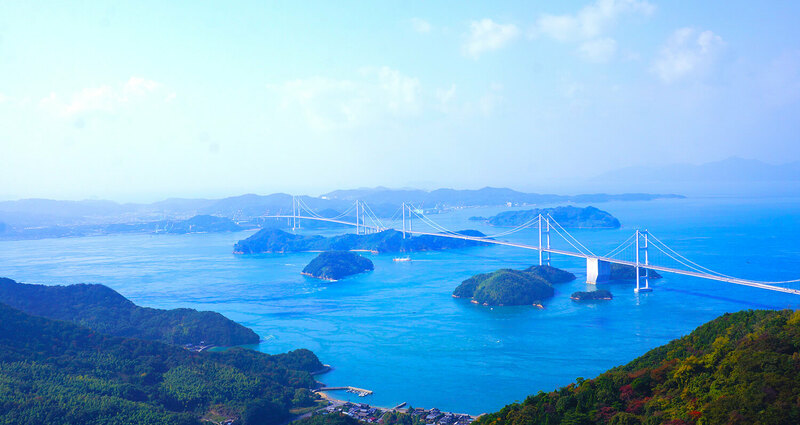 The smallest of the four main islands, Shikoku takes its name from originally being divided into four regions. Historically, the only access was by boat, which meant visitors were kept to a minimum and much of the area was preserved. Visit Matsuyama and Dogo Onsen and then take home some Ehime mandarin oranges, some of the most famous in Japan. Shodoshima is known for growing something not usually associated with Japan – olives. Naoshima and Teshima are some amazing “art islands” off Shikoku’s coast. And of course history is not overlooked here either. The famous 1200 km journey 88 Sacred Temples of Shikoku follows the footsteps of Buddhist saint Kobo Daishi, and is usually done headed in a clockwise direction. This is the southern and westernmost region of Japan, except for the Ryukyu Islands. The region is home to some of Japan’s warmer weather. Kyushu is also home to the most well-known local mascot in Japan, Kumamon. 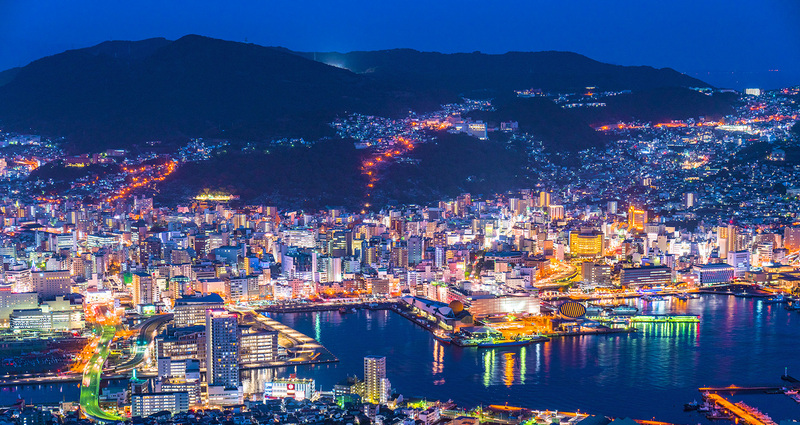 Nagasaki is historically known for being the first port to open up for trade with the west, starting with the Portuguese. Fukuoka is the largest city and its airport serves as a gateway to many cities in Asia and also has ferry service to Korea. Two must-sees in Kyushu are Suizenji Gardens in Kumamoto and the Meiji-style onsen baths of Beppu. While you are spoiled with choices for things to see and do domestically in Japan, other countries in Asia are also highly accessible. 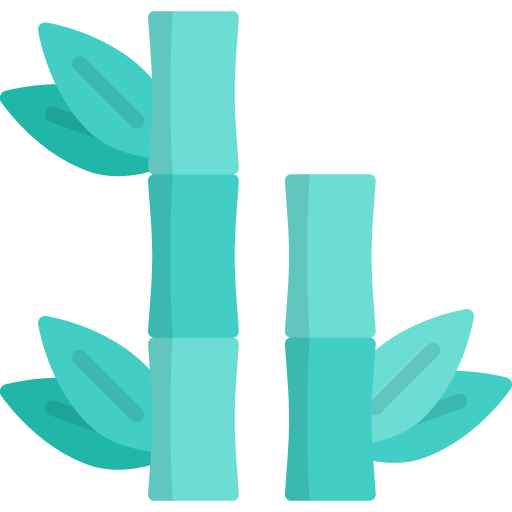 Many Interac ALTs take advantage of the long breaks during summer and winter as well as the time between contracts in March and April to travel within this region. Come experience Asia like never before. 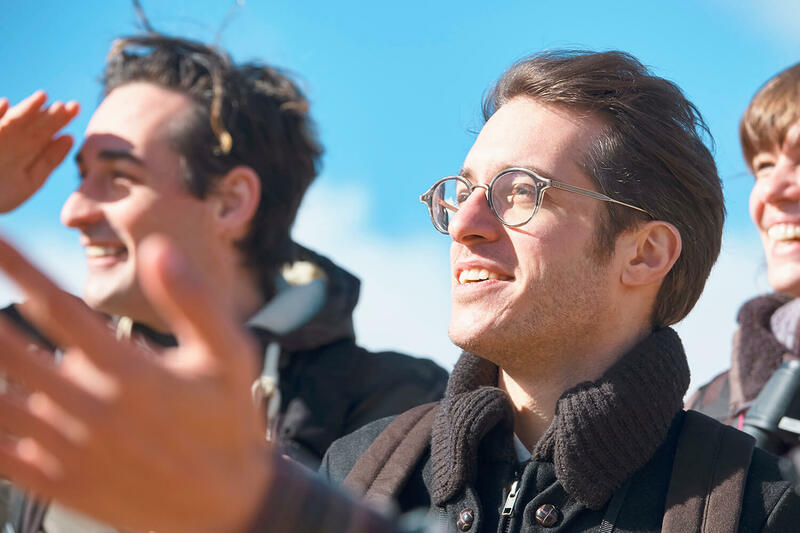 If you’ve never been to Japan prior to joining Interac, the initial orientation and training is commonly very significant when it comes to making your first friends in the country. What make the friendships so strong between ALTs are the shared experiences they have. 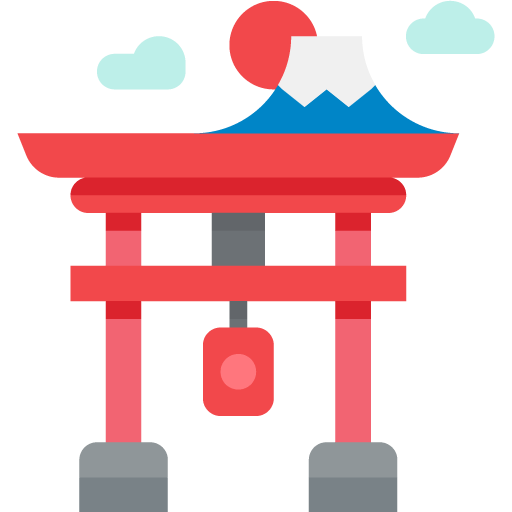 Your time as an ALT will be the perfect opportunity to not only experience living in Japan, but to constantly meet many new and interesting people from around the world. All in all, your experience in Japan will set you apart from your peers. When you teach in Japan, you will find that there is much more to be gained than a regular paycheck. In fact, your experience will shape your future by providing you valuable career experience, experience living in a different culture, and the lifestyle of freedom and growth you have been waiting for. Breathtaking sights. Vibrant culture. Delicious food. Friendly faces. Apply today to have the experience of a lifetime in Japan!